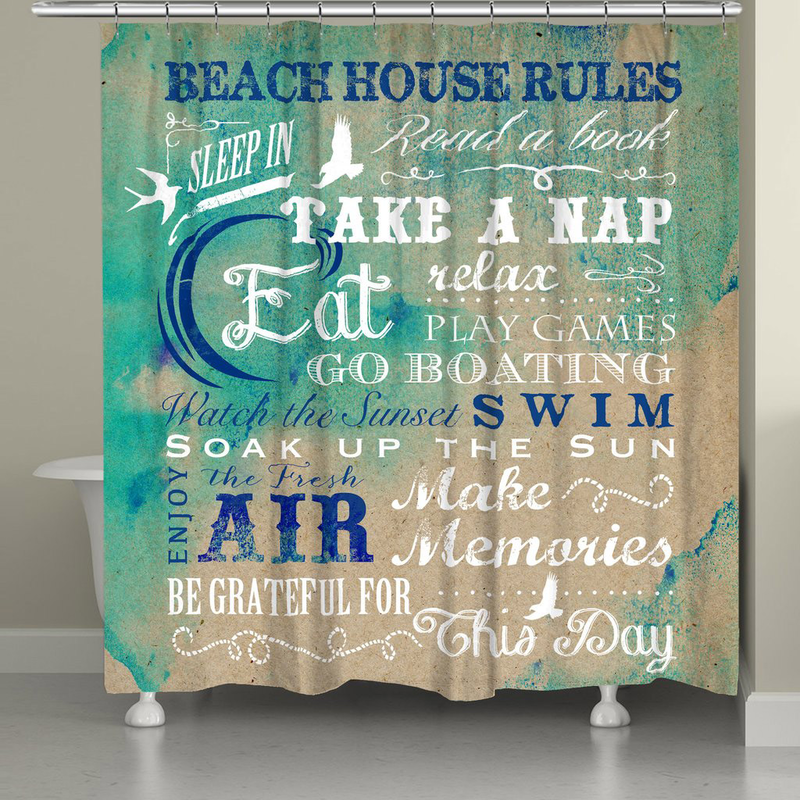 The Beach Rules Shower Curtain brings coastal style to your bathroom with a playful list of vacation rules featured on bright, blended hues of blue and green digitally printed to create crisp, vibrant colors. This beach shower curtain ships from the manufacturer. Allow 1 to 2 weeks. Cannot express ship. For further pieces, we ask you to take some time to have a look at our thorough range of beach shower curtains at Bella Coastal Decor today.